Mt. Whitney High Country Trail Map by Tom Harrison Maps. 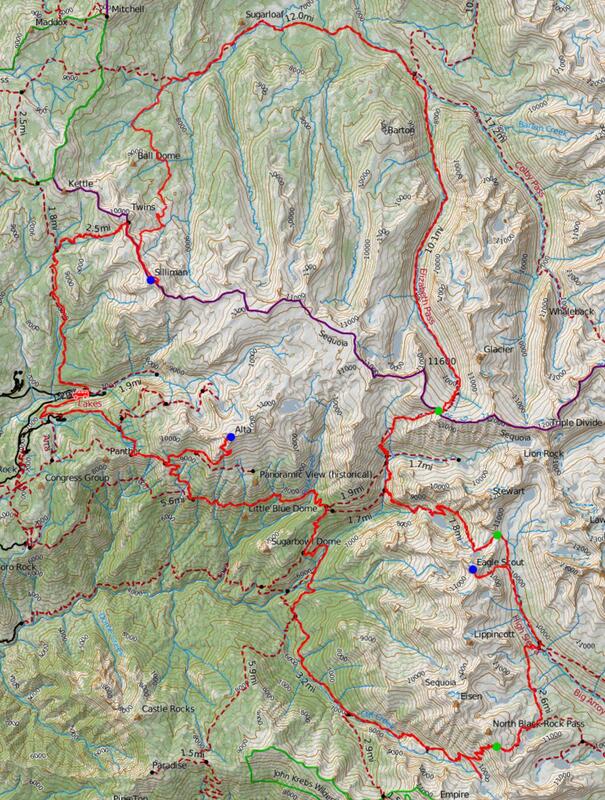 This map covers the entire route but is not as detailed as the 1:24,000 USGS maps that we print using CalTopo. We timed this trip to take advantage of a spell of spectacular weather as well as a full moon. 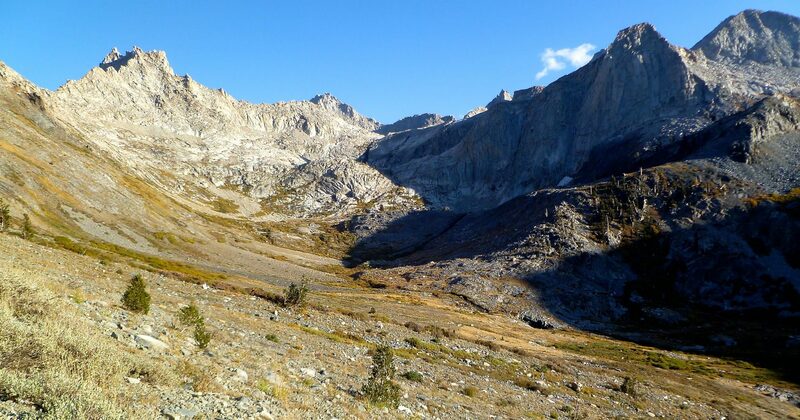 We chose this route in order to hike a few stretches of trail we had not previously visited, primarily Deadman Canyon. 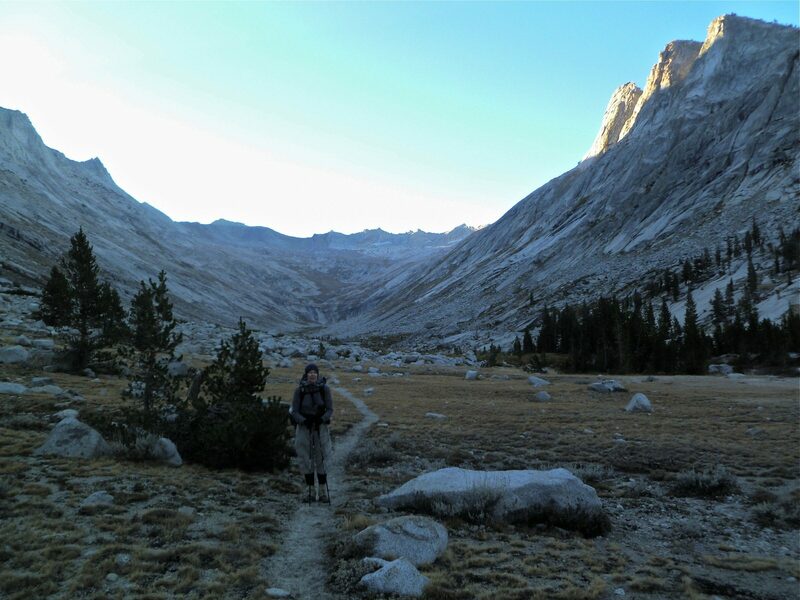 We had previously traversed the crest of Deadman along the Kings Kaweah Divide and thought that it looked like a fabulous canyon to explore. Passing one of the Twin Lakes mid morning on the way to the pass north of Mt. Silliman. To the south is Mt. Silliman. Jim will climb this peak by following the ridge from the pass unitl it cliffs out. 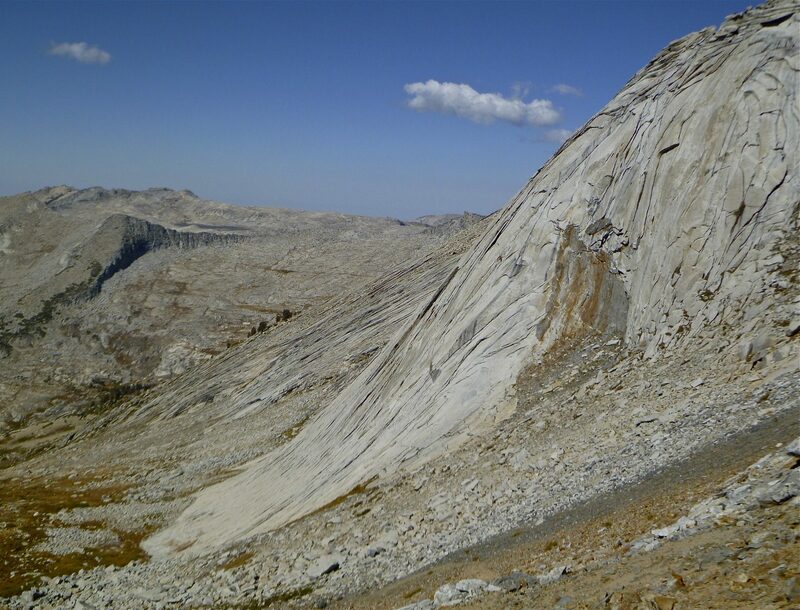 From there, a traverse to the left onto the talus below and to the left of the high point. We then dropped down and easyt traveling cross country to Beville Lake. Beville Lake and Mt. Silliman in the distance. The true summit can’t be seen from here. The first night’s campsite on a ridge near Ranger Lake. Mt. Silliman in the background. The next morning, we continued up canyon toward Elizabeth Pass. 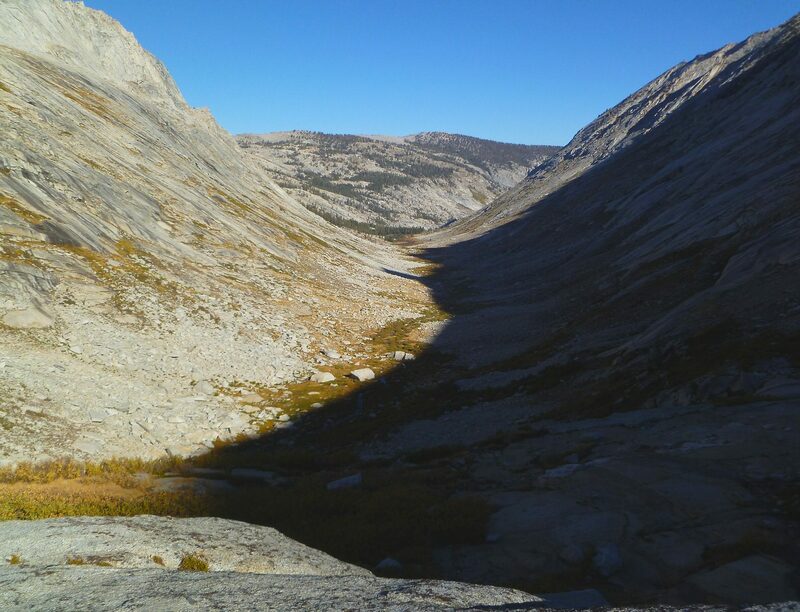 Deadman Canyon, a perfect U-shaped glacial valley. Climbing up towards Elizabeth Pass. 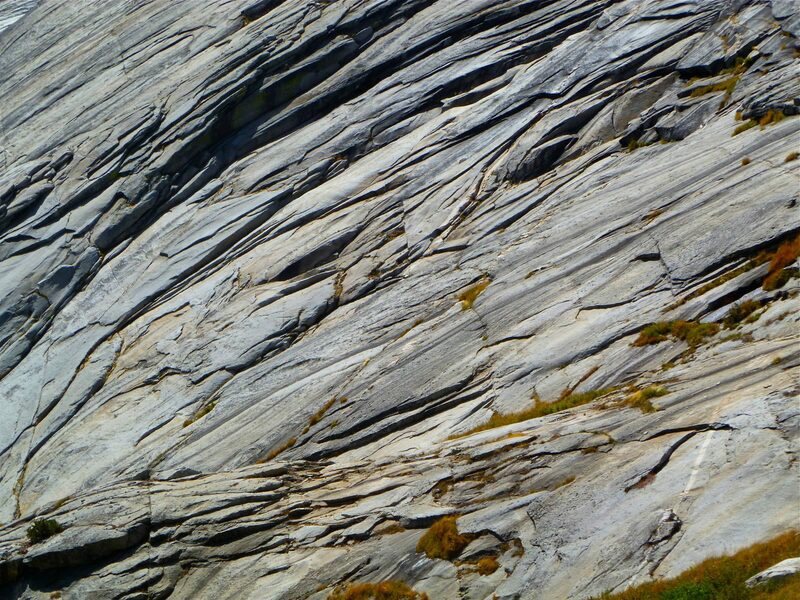 Glacially carved granite; the Tablelands are in the center distance. 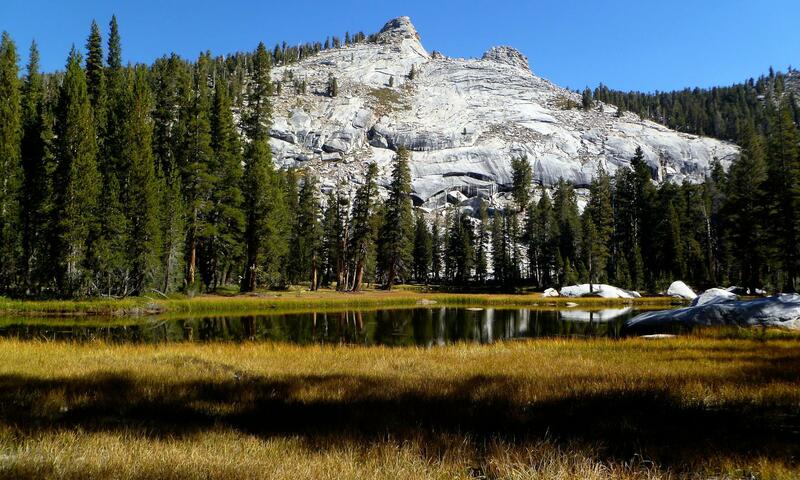 Looking up toward the area around Tamarack Lake. Lion Rock is the peak on the left skyline. Jim will climb this a year later on another trip to the area. Mt. Stewart on the right. 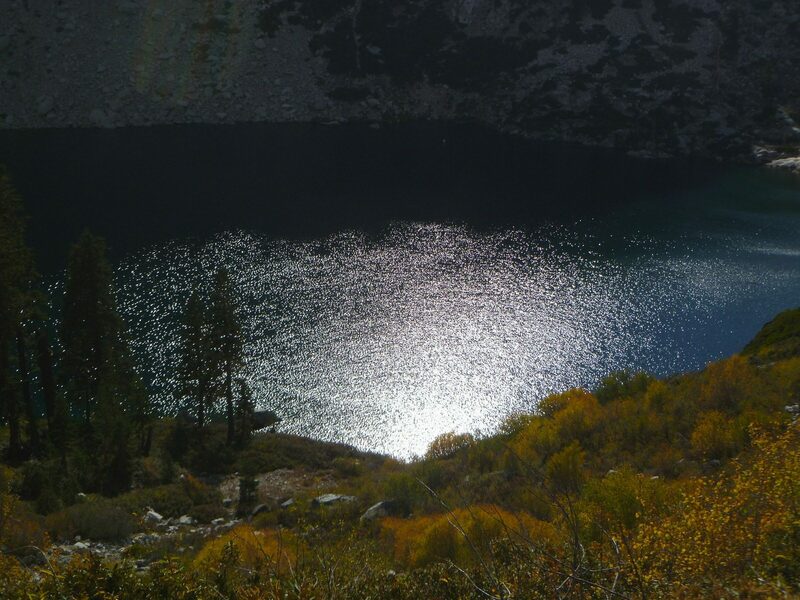 Hamilton Lake, a highly popular place to stop inn the High Sierra Trail. Too many campers were here for our taste. 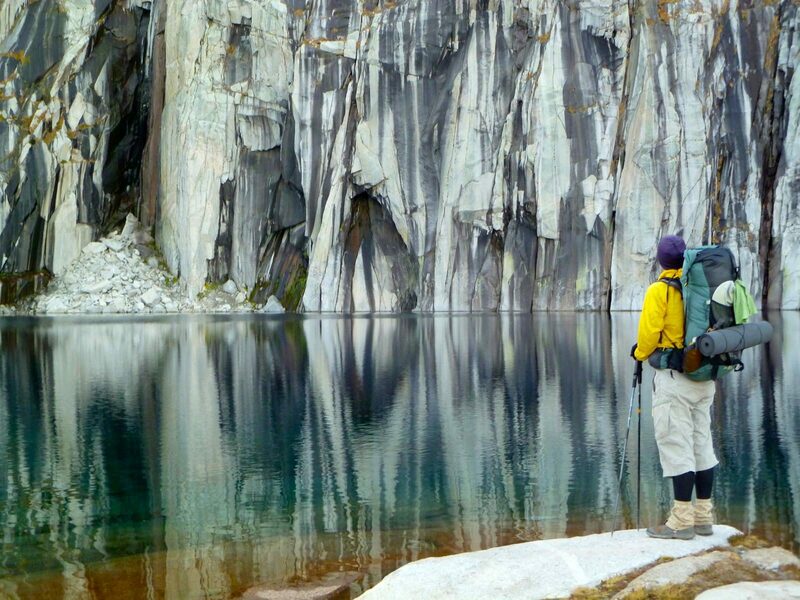 Precipice Lake just below Kaweah Gap. here Ansel Adams made one of his greatest photographs: “Frozen Lake and Cliffs”. Early boring light on Mt. 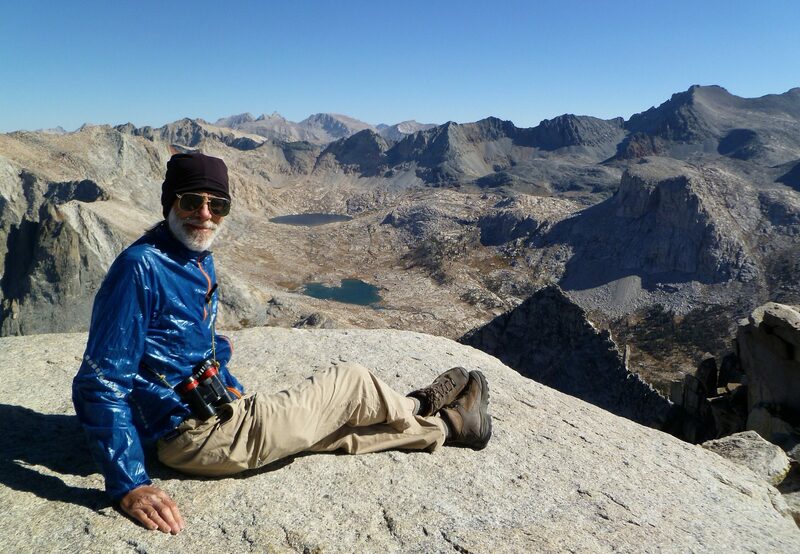 Stewart as we climb over Kaweah Gap. Looks like a good place for lunch. 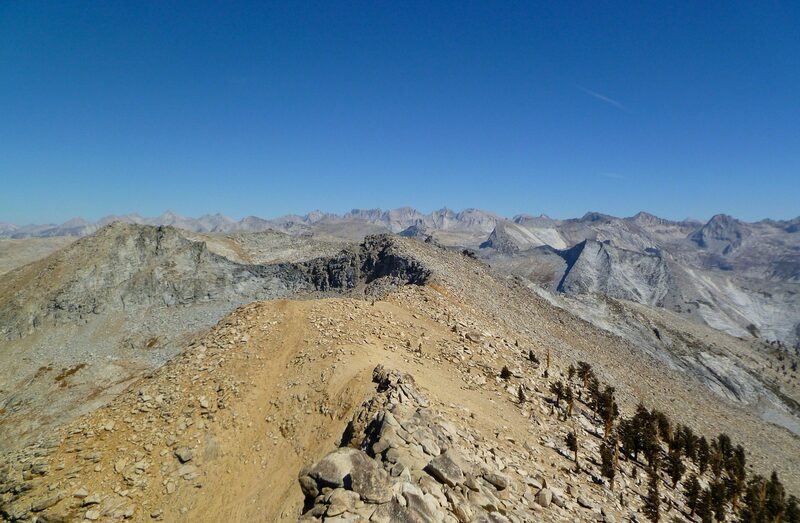 Ascending Black Rock Pass and looking down towards Kern Canyon. 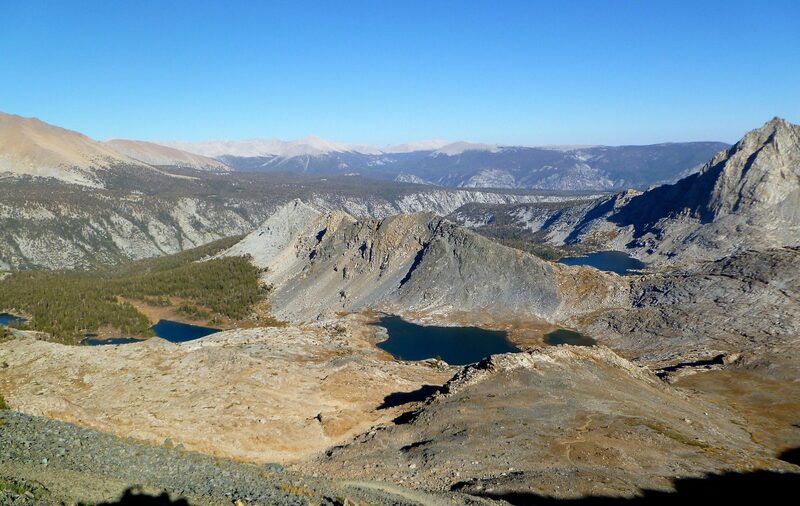 Looking down towards Spring Lake Basin, where we will sped the night. The high point of the far right is Needham Mountain, which we summited a few years prior. Finding a flat and level campsite in this stoney basin proved to be a problem. On the way out, we took a detour to climb Alta Peak, on the edge of the Tablelands. the is a good trail to the summit. Looking northeast from Alta Peak; the Great Western Divide forms the skyline. In the center are the peaks of Thunder, Table, Midway, and Milestone. 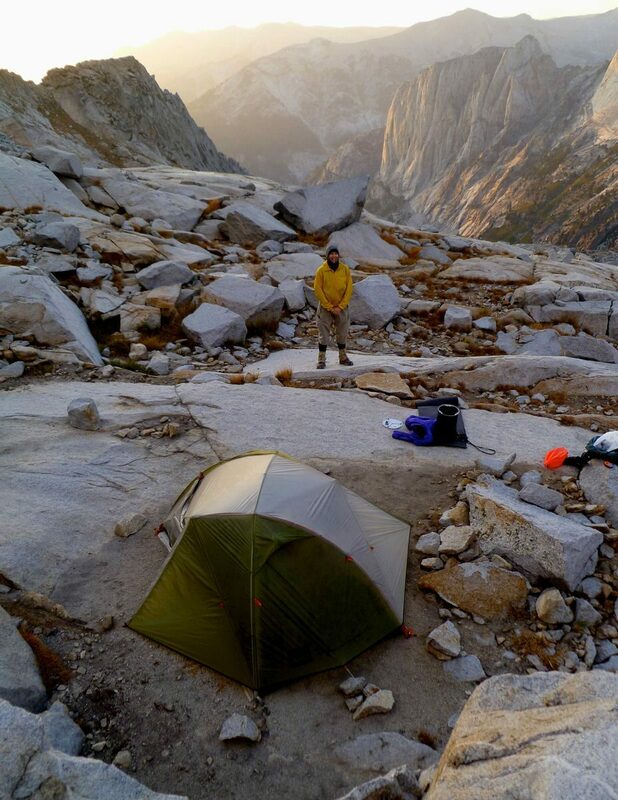 This was another five-star trip in the Sierra. Most of this trip was on trail so the walking was easy and relaxing. 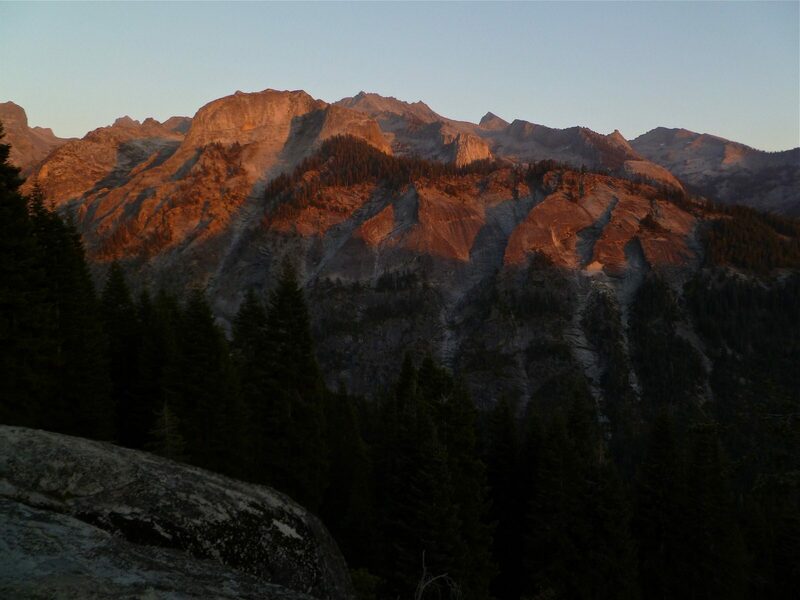 I love the glacially carved alpine canyons and basins, and Deadman Canyon is a fine place. 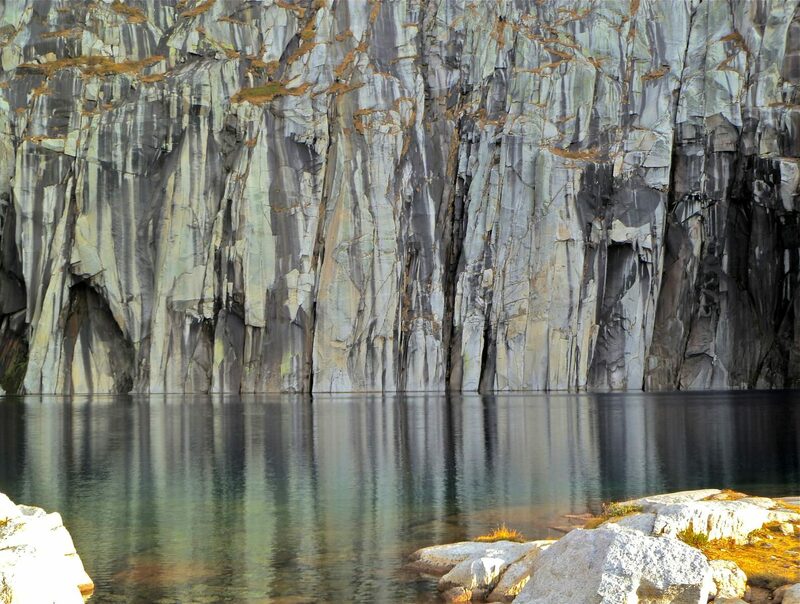 Precipice Lake deserves its reputation as one of the most beautiful lakes in the Sierras. This trip had a lot of variety and was an interesting walk. 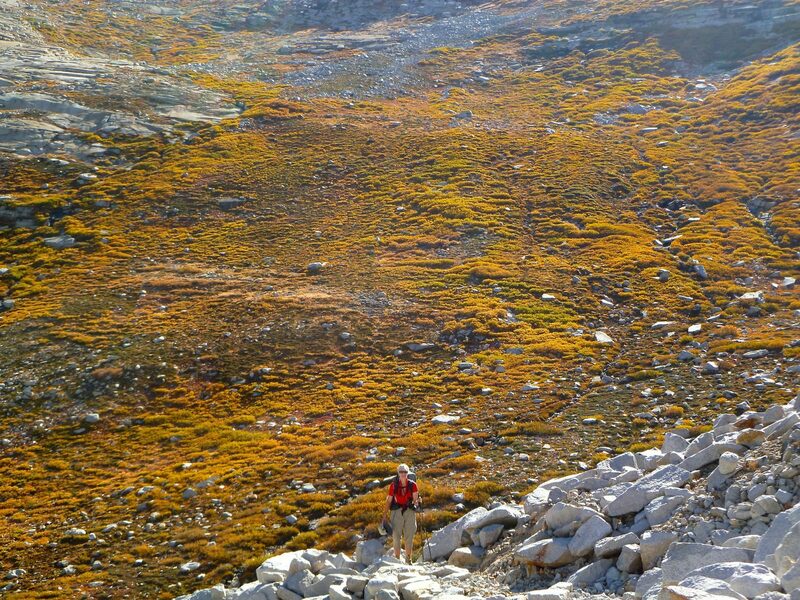 Deadman Canyon is a fine hike and as you climb up to Elizabeth Pass the view just gets better and better. Eagle Scout Peak was an easy but fun climb. 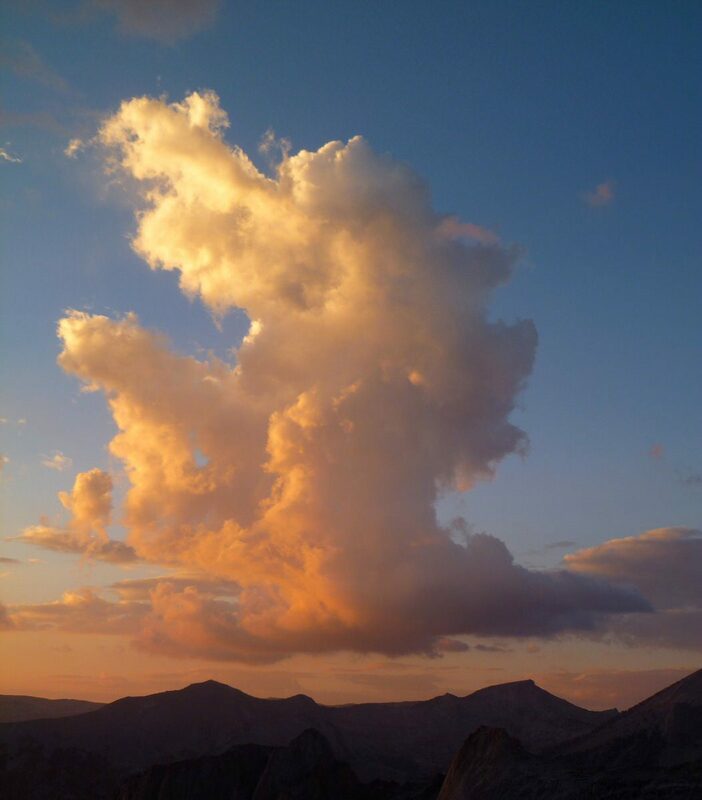 Like so many of our trips to the Sierra, what’s not to like? The description matches the CalTopo map segments. 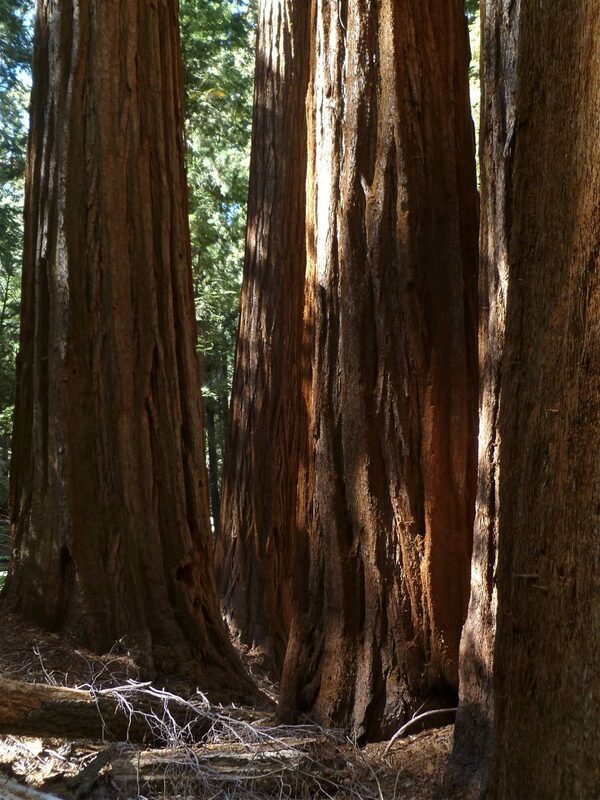 Start at Lodgepole Campground in Sequoia NP. 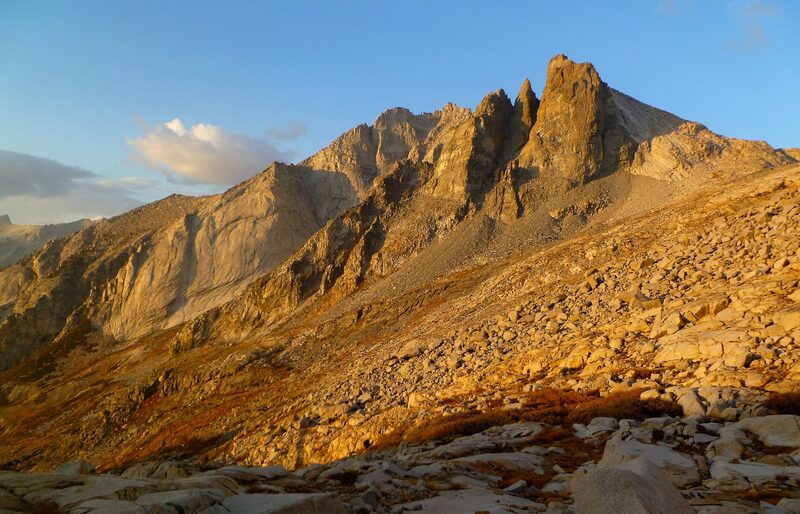 Via trail, gain Silliman Pass and from there optionally summit Mt. Silliman. We dropped cross-country to Beville Lake, but you could take the trail instead if you don’t climb Mt. Silliman. Follow various trails from Beville to Roaring River RS. Hike up fabulous Deadman Canyon to Elizabeth Pass. There are pieces of old trail and use paths in this section. Cross Elizabeth Pass and drop down to the High Sierra Trail. 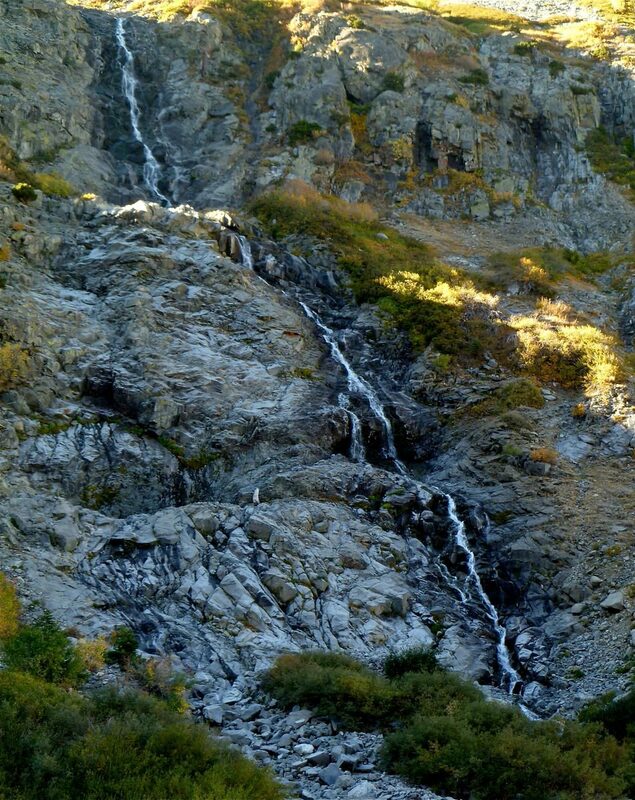 Follow this trail across Kaweah Gap and on to the trail junction at Old Big Arroyo Patrol Cabin. 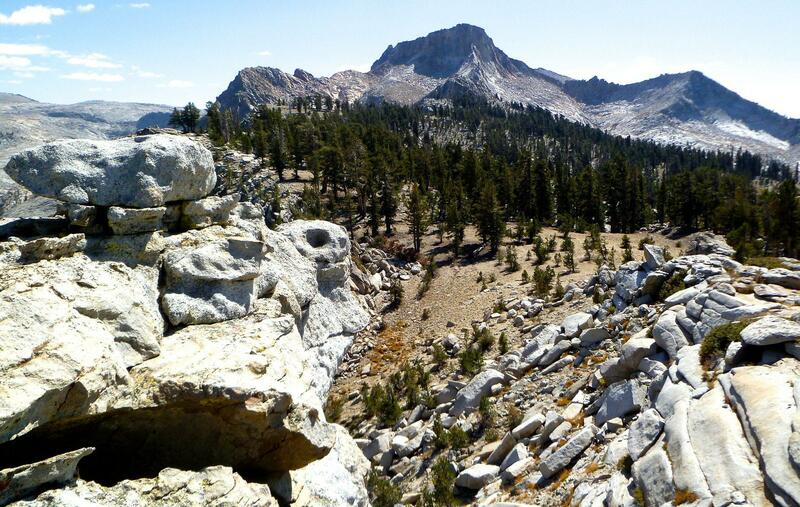 Along the way is an optional ascent of Eagle Scout Peak. 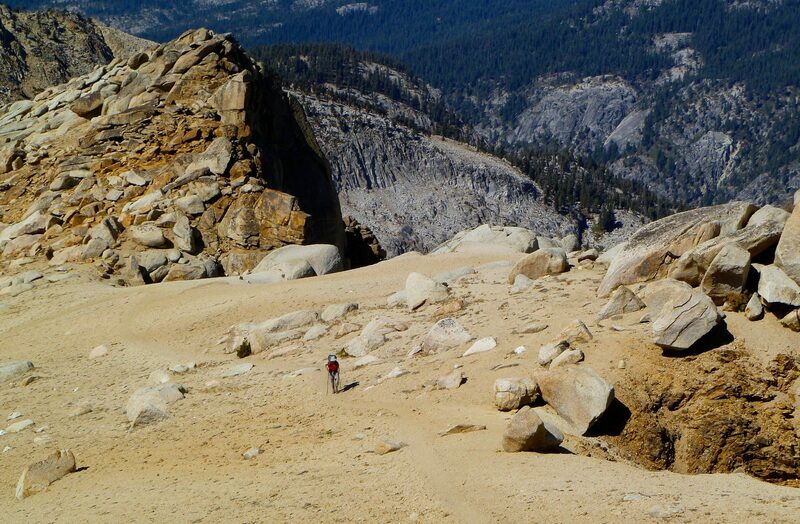 Follow the trail by Little Five Lakes to Black Rock Pass. 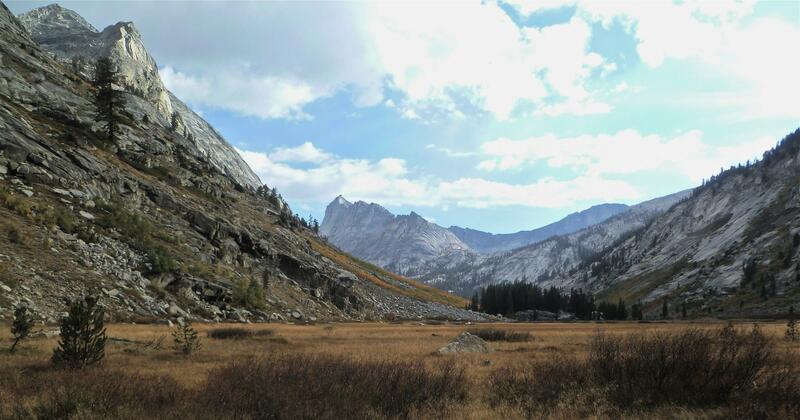 From the pass, follow the trail by Pinto Lake to Redwood Meadows and up to Bearpaw Ranger Station and High Sierra Camp. 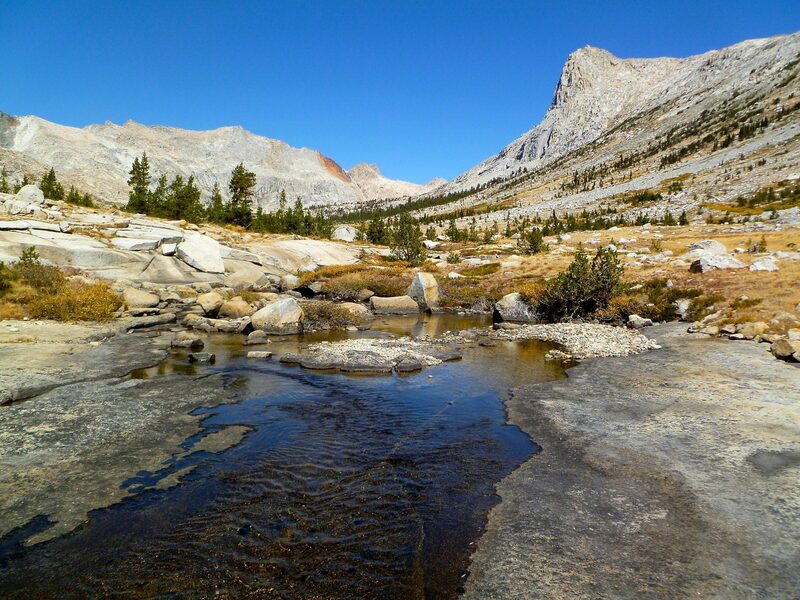 Here you rejoin the High Sierra Trail. Downstream from Pinto Lake, the trail becomes obscure in places as the creek sometimes floods and buries it in debris. Follow the trail to the obscure junction with the trail to Alta Peak. Climbing Alta is optional. Descend Alta and regain the main trail. Follow it back to Lodgepole Campground. 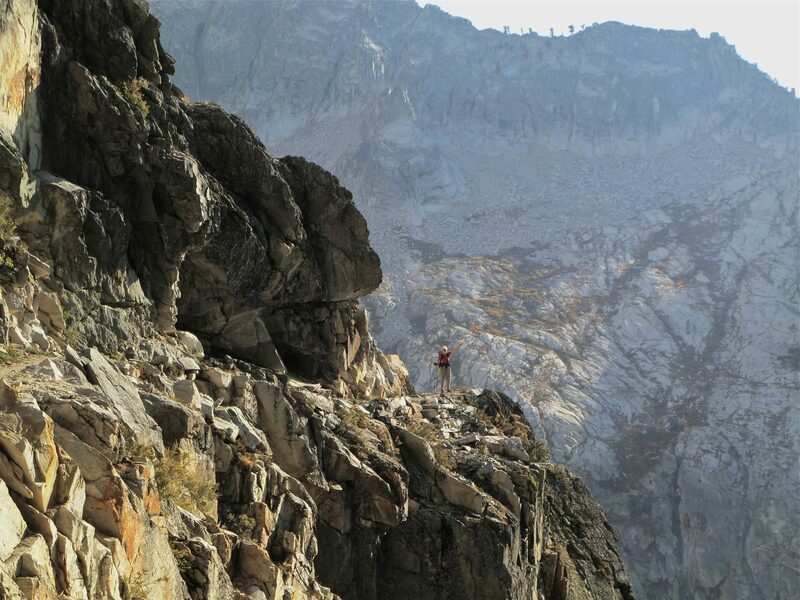 Secor’s route description for climbing Silliman from Silliman Pass is a bit confusing. Following Silliman’s north ridge from the pass, you eventually must drop off to either the east or west to avoid serious 5th class climbing. Secor states: “traverse to the East Ridge from the pass and follow the ridge to the summit.” But this description more closely matches contouring on the west side of the north ridge. 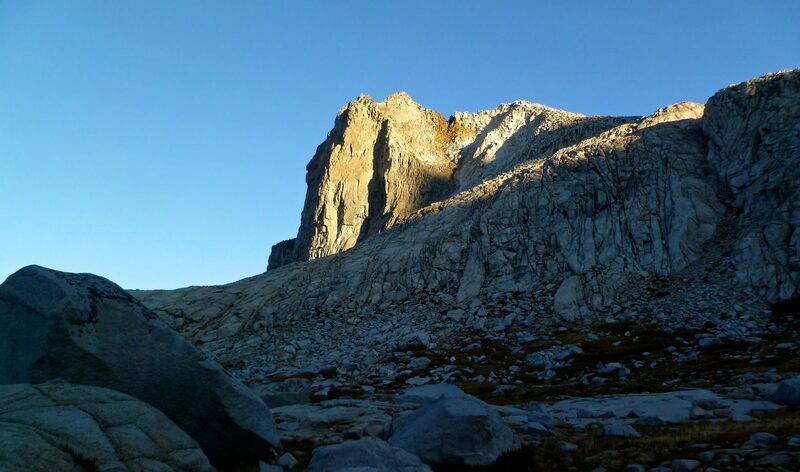 If you stay on the east side, easy scrambling and talus walking eventually provides access to a steep gully ascending to a saddle between the north peak of Silliman and some slightly subsidiary peaks further south. 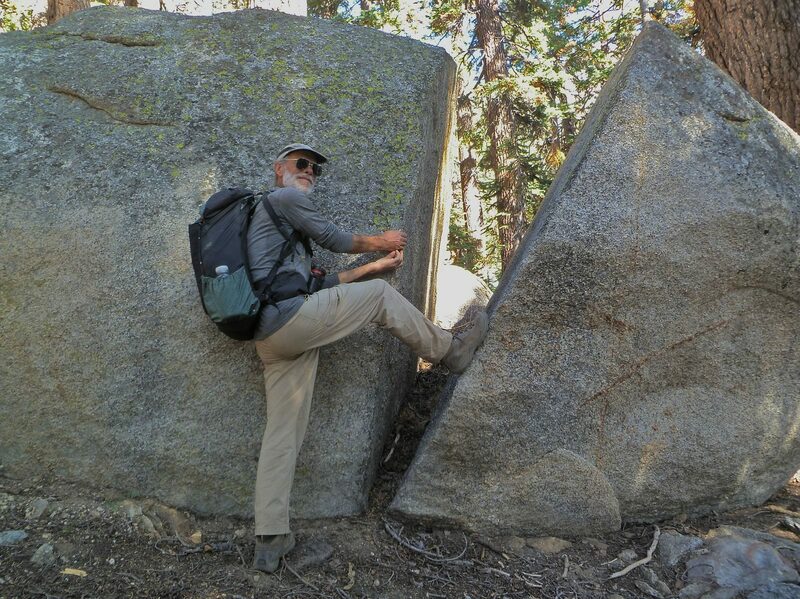 Climbing the gully required a short section of easy stemming around a huge chockstone; not difficult but not 2nd class. 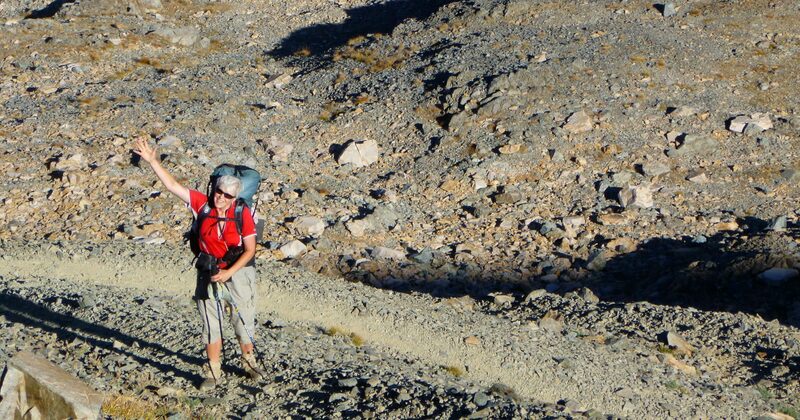 Once the saddle is achieved, head north to the summit over easy ground. There really is no “east ridge”. It seems that the route on the west side of the north ridge is very straightforward and matches the text if Secor meant the west ridge instead of the east ridge. 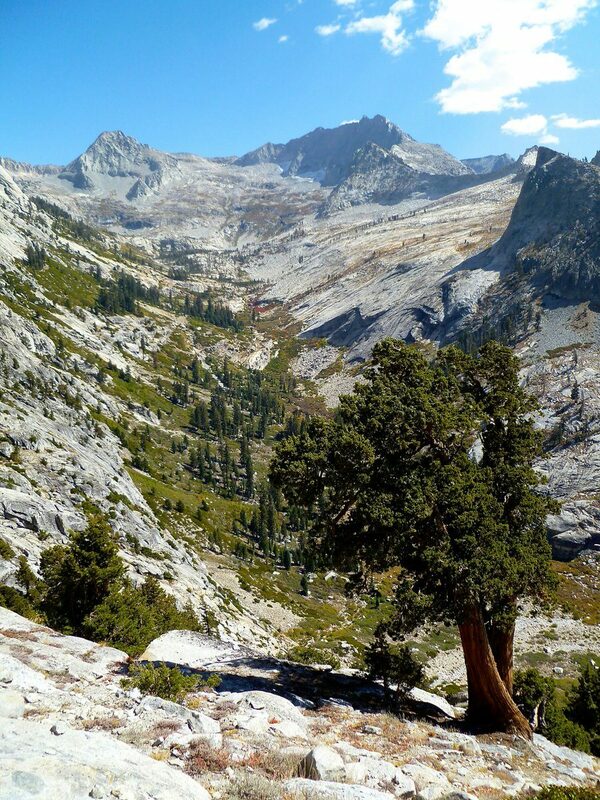 Deadman Canyon is a fantastic place and well worth visiting. 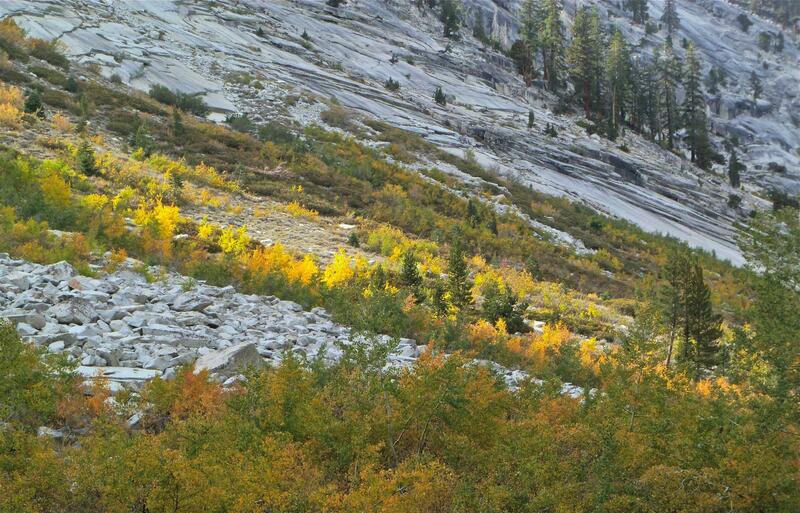 It is a classic U-shaped glacial valley and the brilliant yellows of the seasonally changing aspens made it even more special. 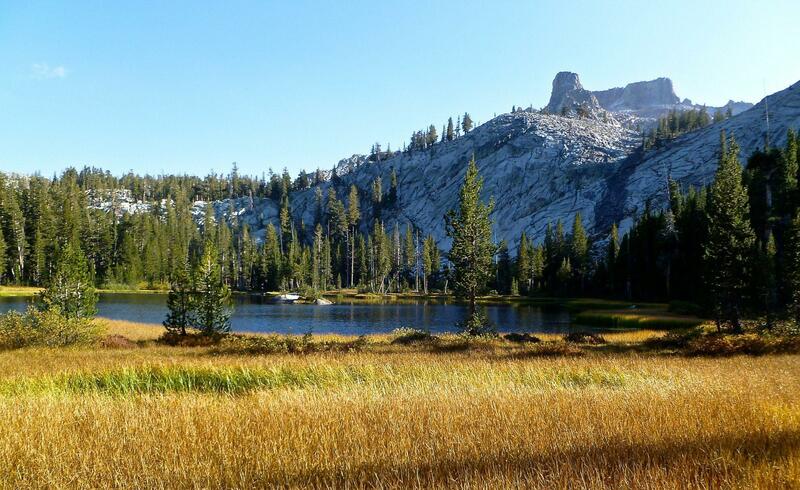 Vast open meadows allow wonderful views of the surrounding peaks. 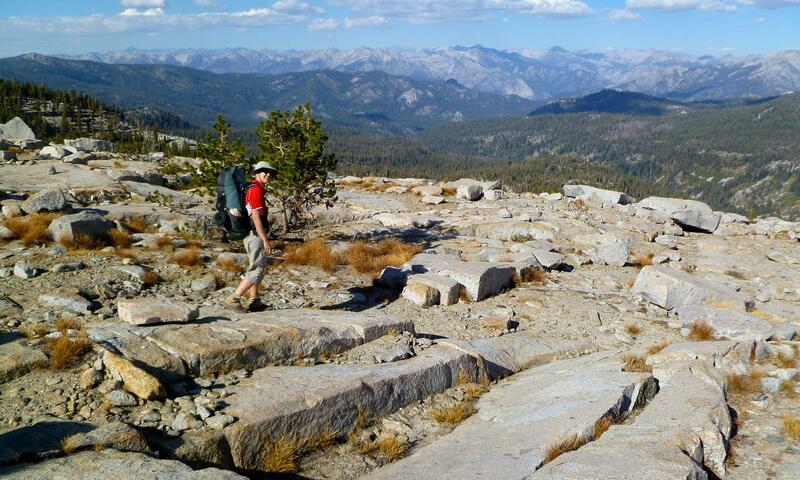 Eagle Scout Peak was easy class-2 and given the many entries in the summit register, is a popular peak. The view from the summit is outstanding. 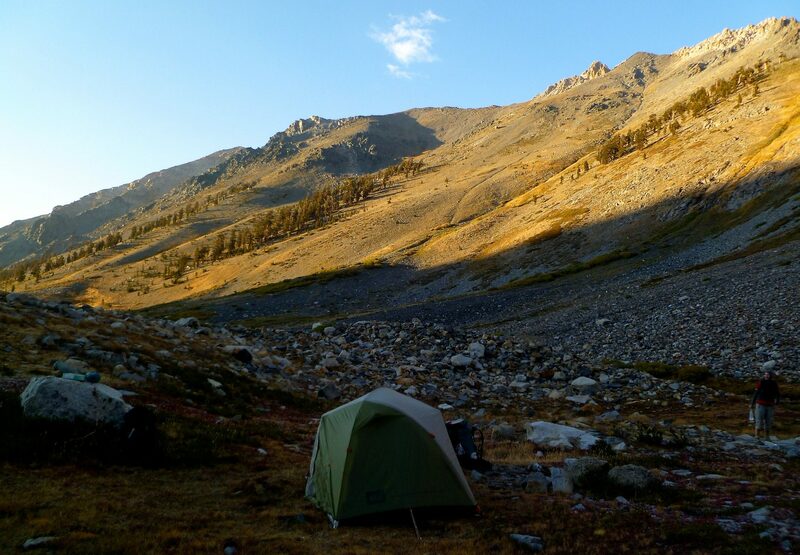 We did not find any good trailside campsites between the top of Black Rock Pass and Pinto Lake, where there is good camping. We camped in the isolated valley just below Spring Lake, but the terrain is surprisingly rocky and finding an acceptable site took a while. We had exceptionally good weather: on two days we had a very few late afternoon drops of rain, not enough for raingear. Otherwise the days were sunny, calm and warm and we hiked in T-shirts. 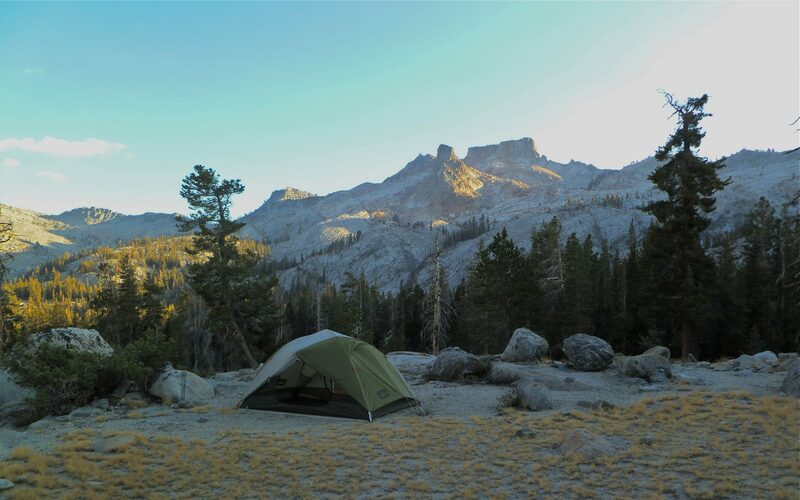 Our camp at Ranger Meadow hit a low of 26 degrees, while the night at Bearpaw didn’t drop below 54. 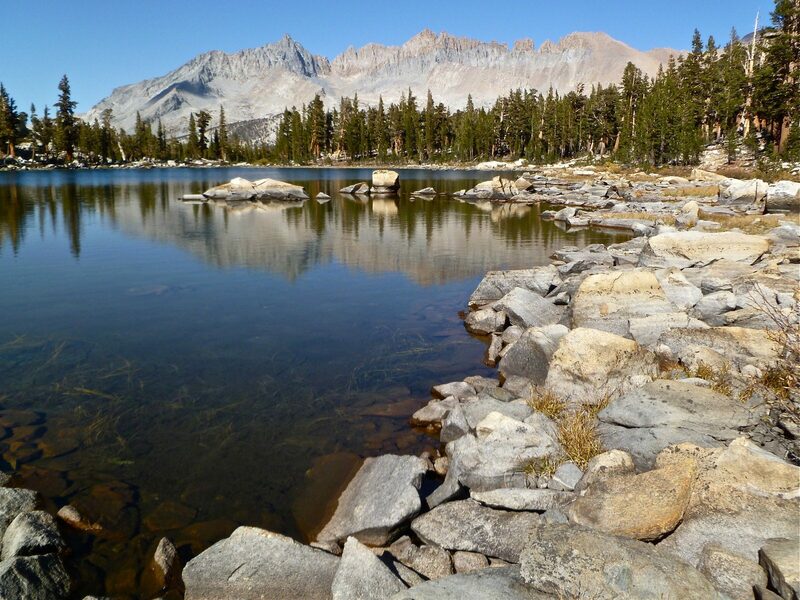 There were no mosquitoes, which is typical for September in the High Sierra. We used our new home made Love Bird Quilt and liked at a lot. Cathy and I did a backpack trip in Cloud and Deadman Canyons about thirty years ago. It is drop-dead gorgeous country. Thank you, Amy, for providing this wonderful accounting of the trip you did in this territory. Yours was a much more ambitious trip than ours.